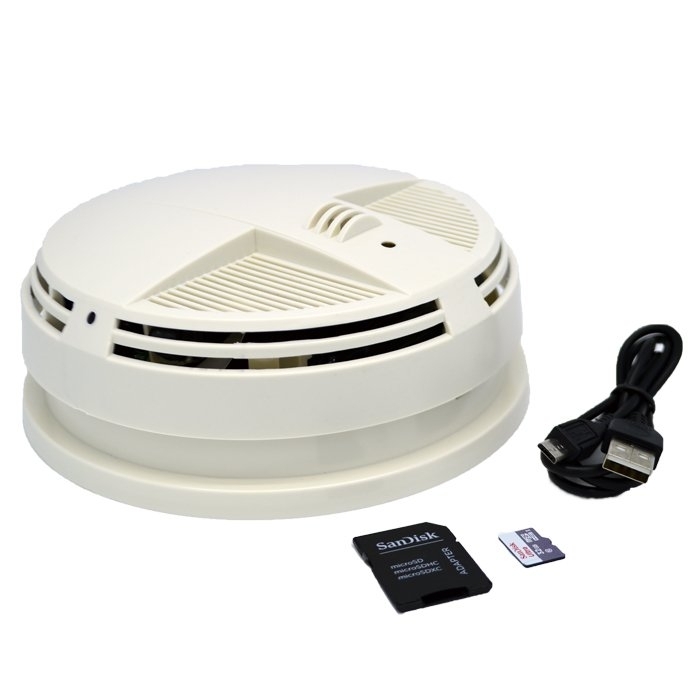 The Xtreme Life 4K Night Vision Smoke Detector (Bottom View) is a covert hidden camera that you can use to keep an eye on your home or office. Disguised as a normal smoke detector, the device records full 4K HD video even in complete darkness, so you won’t miss anything important. You can protect your property from theft and unwanted intruders or watch over your employees and loved ones. 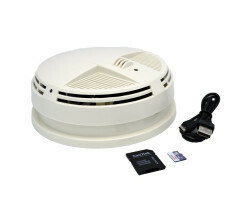 Get lasting peace of mind with the Xtreme Life 4K Night Vision Smoke Detector (Bottom View). 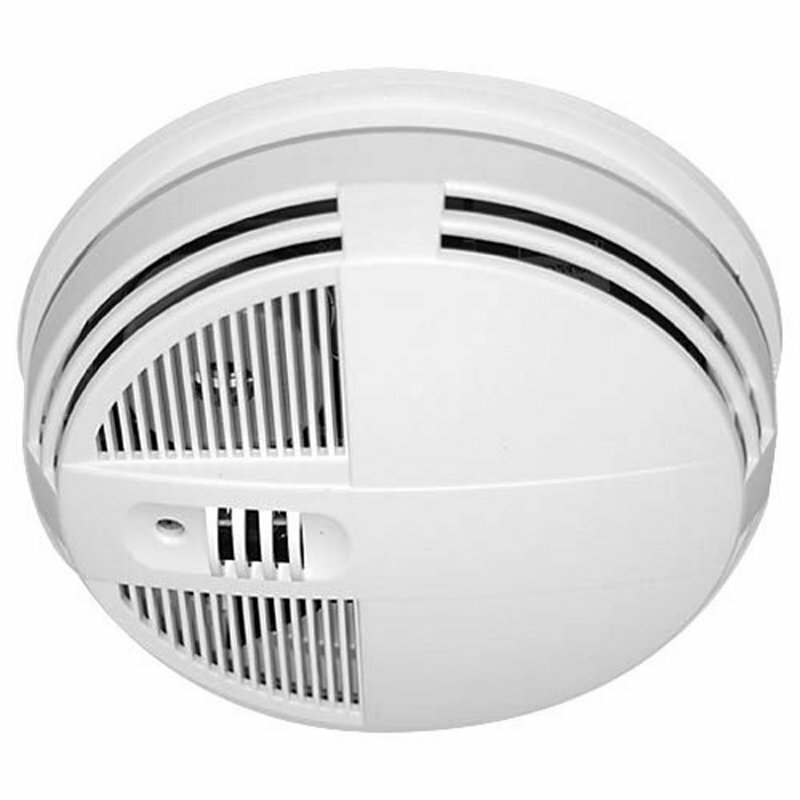 No one will suspect the Xtreme Life 4K Night Vision Smoke Detector (Bottom View) is anything other than a normal smoke detector. 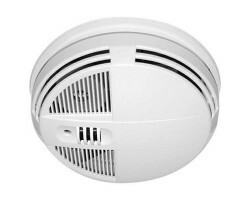 It looks and works just like a normal smoke alarm, so you can record video in plain sight. 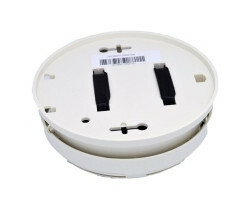 There are no wires hanging down from the device that might give away your secret. If someone is doing something inappropriate when you’re not around, you can capture all the evidence without bringing attention to yourself. The camera records full 4K HD video, capturing faces clearly across long distances. You don’t have to worry about dealing with blurry or lackluster footage. The device can even record clear HD video in complete darkness. 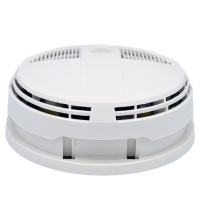 If someone is sneaking around your property in the middle of the night, you can rest assured the Xtreme Life 4K Night Vision Smoke Detector (Bottom View) will record all the action. The camera also features a 120-degree wide-angle lens, helping you see more of your surroundings. The lens of the camera points out the bottom of the device, giving you a bird’s eye view of the room. You don’t have to worry about losing important details at the edges of the frame. 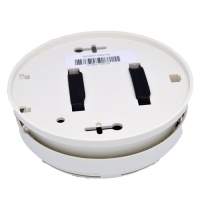 Just install the device on the wall or ceiling and you’ll be able to see everything’s happening in the space. You can store up to 128GB of HD video on the Xtreme Life 4K Night Vision Smoke Detector (Bottom View) when you purchase a separate memory card. If you want to make the most of your storage space, the device also comes with a motion-activation feature. This means the camera will only start recording when it senses motion nearby. You’ll catch all the important moments without having to scroll through hours of useless footage. When you put the camera in motion-activation mode, the battery will last up to 90 days. This really comes in handy if you’re going out of town for an extended period of time. You can leave the camera in position for months at a time without having to recharge the battery. You don’t have to walk up to the device every time you want to start or stop a recording. 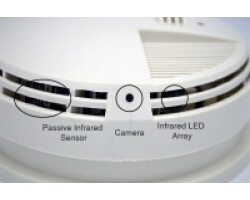 The Xtreme Life 4K Night Vision Smoke Detector (Bottom View) comes with a remote that lets you control the camera from a distance. Just point the remote at the camera to turn it on and you’re good to go. You can quickly activate the device without causing a scene. When it comes to home and office surveillance, the Xtreme Life 4K Night Vision Smoke Detector (Bottom View) won’t leave you disappointed. With its wide-angle lens, full night-vision and extra-long battery life, you can rest assured knowing you have an extra set of eyes on your property. You can look after your employees, watch over the nanny, or make sure your kids get home safe from school. 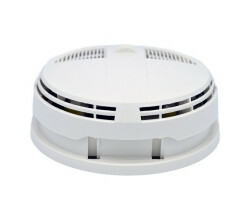 Protect what’s most important to you with the Xtreme Life 4K Night Vision Smoke Detector (Bottom View).